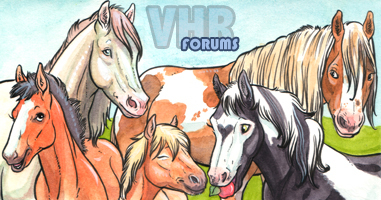 virtualhorseranch.com • View topic - Live public testing is OPEN. Live public testing is OPEN. For those wondering, live testing is now up. Feel free to give it a go and help work out the kinks. If you fall off a cliff or such and get stuck in ditches, just reload the client. It will move you to the middle of the map when you log back on. To see how many wild horse catches you have, just click the gold coin icon on the left side of the screen. It will tell you how many right above the purchase more catches button. Each player starts with 10 free catches. Catches are not unlimited, you do not earn more, and you do not get catches returned for releasing a horse, so use them wisely! You can purchase 4 extra catches for 25 orbs, but do not purchase them while you are out riding. This is bugged and it will cause your horses to vanish and catches to vanish. If this happens, reload the entire game. Your orbs will be back, and then purchase the catches before you go riding. To catch wild horses you will need to go riding on your trusty mule, Bessie. When you see horses running around the zone, just click on them. If you press the M button while riding, you will get the map tab that shows you the exits to other zones. If you have any other questions, feel free to ask here, in chat, or on the post at the top of this thread. Featherless Op with Pink Hoody & Bunny slippers.